With the popularity of tattoos growing and lots of tattoo parlor being opened, it becomes all the more important for a person to exercise due care before getting a tattoo made. In this context, the tattooing tips given in this article will surely come handy. A tattoo, though an impressive and striking body art, involves a lot of pain on the part of the person who is getting it made. At the same time, he/she is required to gather loads of information, take due precautions while selecting the artist as well as the design and undertake a lot of after-tattoo care as well. With the popularity of tattoos growing with present times and lots of tattoo parlor being opened, it becomes all the more important for a person to exercise due care before getting a tattoo made. In this context, the following tattooing tips will surely come handy. Before you get a tattoo made on your body, it is advisable to gather complete information on the tattooing process. You need to be aware of how would the process be undertaken and the amount of pain it is likely to cause. Another aspect that you need to be acquainted with is that the tattoo will be there with you throughout your life, unless and until you undertake the painful and expensive removal process. So, getting a tattoo made at the spur of the moment is not a good idea. It is better to be a bit cautious earlier, than regret later on. It is very necessary for you to find a professional for getting the tattoo made. While an improperly made tattoo can cause skin allergies and infections, use of infected needles can also lead to fatal diseases like AIDS. So, make sure that the tattoo parlor you are visiting is hygienic and makes us of disposable needles and fresh ink, for every session. To ascertain the authenticity of the artist, you can enquire about his/her association with a professional organization/ group. One of the basic requirements of getting yourself tattooed is the selection of the design. If you have one in mind already, nothing can be better. Otherwise, you can make use of the collection of designs that are offered at the tattoo parlor. Going through magazines and browsing the internet can also help you arrive at the perfect tattoo design. Even though your specific design costs a bit more money, it will be worth it, as you will be sporting the tattoo throughout your life. After you have selected the design of the tattoo, the next step would comprise of choosing colors for the same. It is very necessary to ask the tattoo artist to provide proofing of the colored inks, before using the same. This is because some of the colors look good on certain skin tones, while others don't. Then, there is always the risk of a particular color looking dull and faded on the skin. So, always ask the inks to be proofed beforehand. 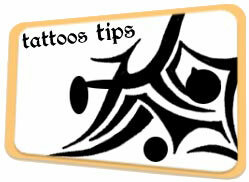 Be well aware of the rules and regulations related to tattoos in your state or country. For example: in US you cannot donate the blood for at least one year after getting a tattoo done on your body, it helps in controlling the spread of hepatitis. If you have any qualms about getting a tattoo or you are underage to get a tattoo done on your body then get a temporary one first instead. If you have a certain design in your mind then get a henna tattoo of the same design done on the exact body part where you might want to get a permanent one done later. This tattoo will wash off in a month’s time and will give you a good idea of how it will look on you. Once you get a tattoo keep it covered with a bandage for the first twenty four hours. It is advisable to not touch the tattoo when it is fresh and not to pick at any scabs. It is good for your tattoo to be kept lubricated with petroleum jelly. You may also put some antibiotic ointment on it to keep it clean and infection free.